Tags: Doug Polk, King of the Hill, Phil Hellmuth, Shaun Deeb. Posted on Wednesday, September 27, 2017 by "T". 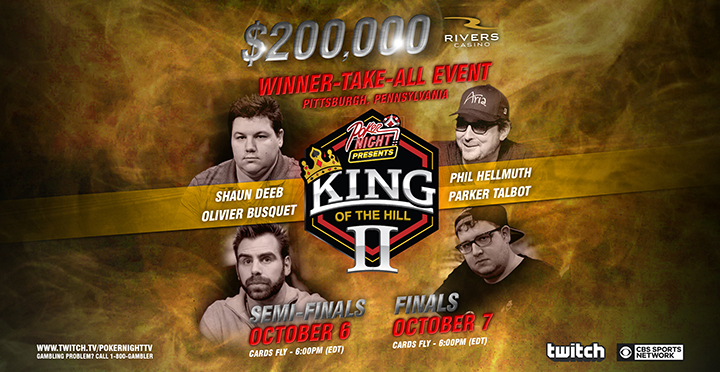 The second round of the King of the Hill match courtesy of Poker Night in America has been scheduled on October 6 and 7 (Friday and Saturday) at the Rivers Casino in Pittsburgh, Pennsylvania. Looking back on the first round of the King of the Hill, poker fans who tuned in saw pro players Frank Kassela, Daniel "jungleman12" Cates, Phil Hellmuth, and Doug "WCGRider" Polk battling it out with each other. All four players shelled out the $50,000 buy-in each and the one who emerged victorious in the end was Phil Hellmuth, taking home a sweet $200,000 cash prize! Of course, Hellmuth will be there on the second round to defend his title, but this time Doug Polk is not going to be playing at the table since he is hosting the livestreamed show on the Poker Night in America Twitch channel (on a 30-minute delay), although he expressed that he would even be more excited if he was playing too. Also, Cates and Kassela will not be playing this time, and so they are replaced by Shaun Deeb, Olivier Busquet, and Parker "Tonkaaaap" Talbot. The semi-final round matches shall be streamed on October 6 Friday at 6:30pm and 9:30pm EST, followed by the finale (best of 3 matches) on October 7 Saturday at 6:30pm EST. 6 comments for "Doug Polk shall Host Poker Night in America King of the Hill II"
Good call. 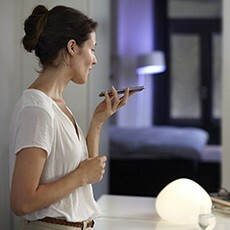 If that Polk guy can't keep up with the big boys yet, he still has to announce them. Maybe he learns a bit, if he can watch the real experts play heads up. There still may be the 5 million battle against Dwan comming, where he could put that to use. I like to see that phill hellmuth win in 1st event so now he has money to play more events like this. Of course to me it looks this all tournament of only 4 players is only marketing so maybe even money is from players but from organisers. I'm sitting and wondering what to do Phill Hellmuth as a presenter will start talking again with id!ot or look honey : Fortunately we have another hosting who is more experienced in this posture but i would like to see Phill Hellmuth in the future to present a live tournament. I hope so.